Messiah Lutheran Preschool was founded on the love of God in Jesus Christ and seeks to demonstrate that redeeming love through the instruction of and the care for its students. To that end, Messiah Lutheran Preschool will love unconditionally, serve and care for each child enrolled in Messiah Lutheran Preschool. Messiah Lutheran Preschool teaches God’s Word reflecting a Lutheran understanding of God’s Law and Gospel as written in the Scriptures. 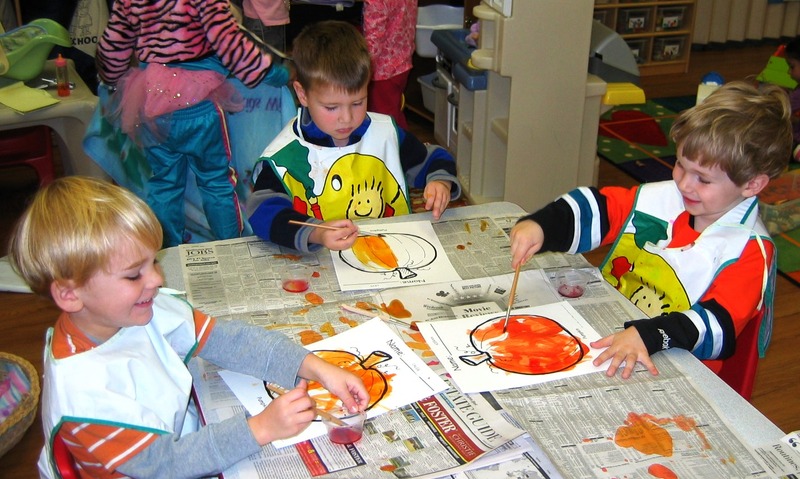 Messiah Lutheran Preschool is committed to providing a caring, nurturing, and loving environment addressing the spiritual, intellectual, social, physical, and emotional development of each child in the program. Students attend weekly chapel with the Pastor and appropriate Bible stories and activities are part of each day’s program. All academic lessons reflect the love of God that Jesus is God’s Son, each child’s Savior and Friend. God’s forgiveness for each child’s sin is basic in their relationship with God, one another, their teachers, parents and siblings. Scripture instructs us to LOVE ONE ANOTHER (John 15: 17). Messiah Lutheran Preschool’s discipline and guidance policies are managed on a one-on-one basis with the student, teacher, and/or director. Love, forgiveness, and personal responsibility are at the core of all situations when discipline is necessary. All lessons reflect the love of God in Jesus Christ. Students and teachers strive for excellence using effective learning with teaching materials and methods and using developmentally appropriate practices for learning. Academic goals, scope, and sequence have been set by the director to prepare each child for kindergarten and his or her place in society. In addition to academics, Messiah Lutheran Preschool emphasizes the importance of play with children. Play is the work of children. For school success, children need to develop physically, mentally, emotionally, socially and creatively. Play is an important part of this development of the whole child. Messiah Lutheran Preschool families and staff are to work together to strengthen the Christian home life. Families are encouraged to take their child to Sunday school and worship each Sunday at Messiah Lutheran Church, or a Christian church of their choice. Families are encouraged to be involved in Messiah Lutheran Preschool activities, Vacation Bible School, and Messiah Lutheran Church’s programs. Since Jesus commissioned His followers to TEACH WHATEVER I HAVE COMMANDED YOU (Matthew 28:20), it is Messiah Lutheran Preschool’s conviction to carry out this ministry and that it will please God as it helps children to GROW IN WISDOM AND STATURE, AND IN FAVOR WITH GOD AND MAN (Luke 2: 52).